I know it has been awhile since my last update to https://joedichiara.wordpress.com but in the next few days I will have many uploads to post. I had an idea for an illustration that came to mind while watching a re-run of The Sopranos. That show is arguably one of the greatest ever, so I decided to do a composition of the cast in an illustration. 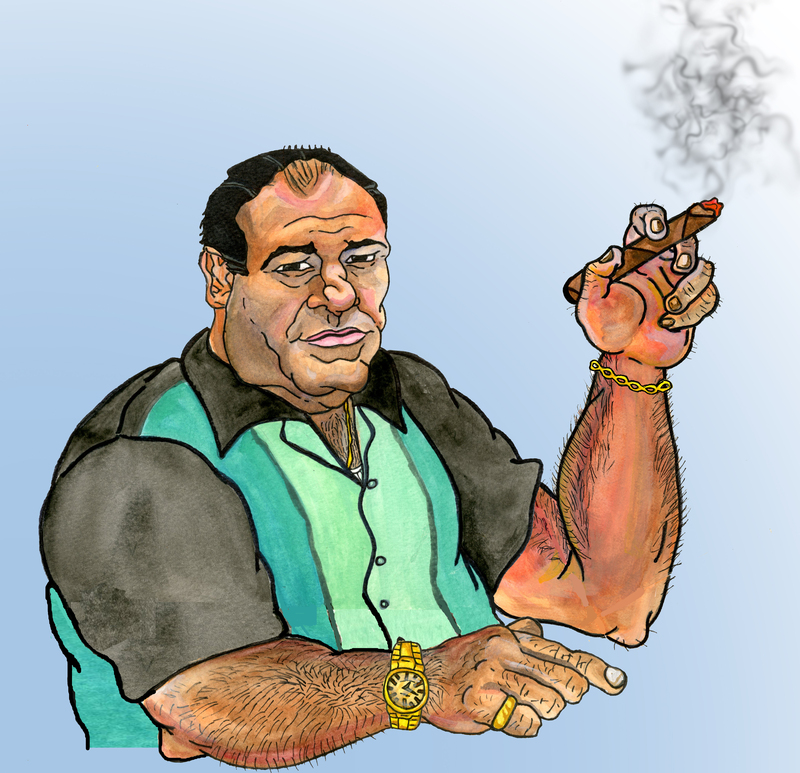 This is the first of the finished characters…..The one and only Tony Soprano. Check Back to https://joedichiara.wordpress.com this week for updates and make sure to visit http://www.joedichiara.com for finished artwork and much more!